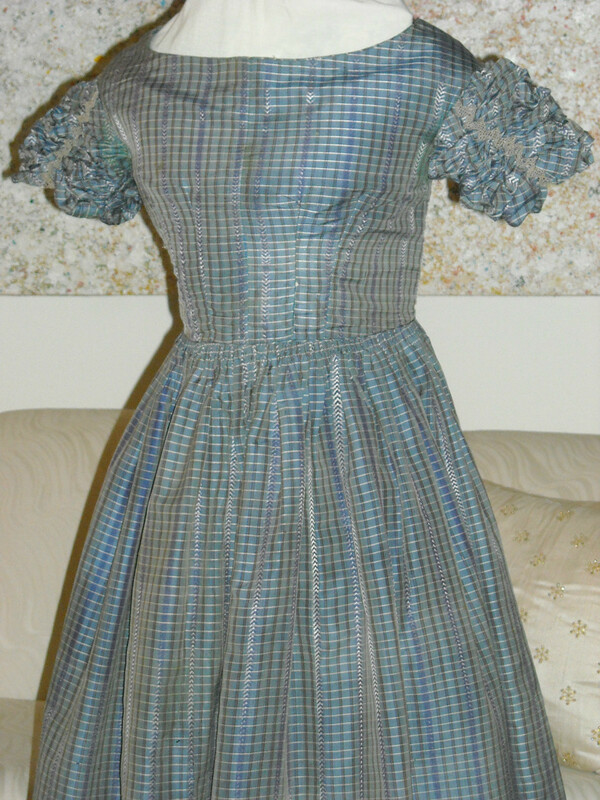 This is a pretty Victorian dress in a grayish blue plaid silk with chevron design lines. 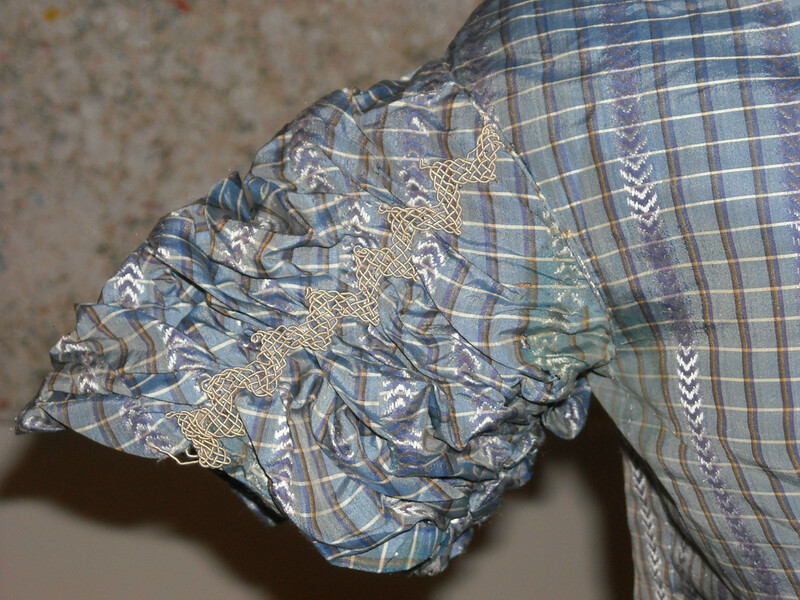 It has short gathered puff sleeves with a silk corded trim on the gathers. 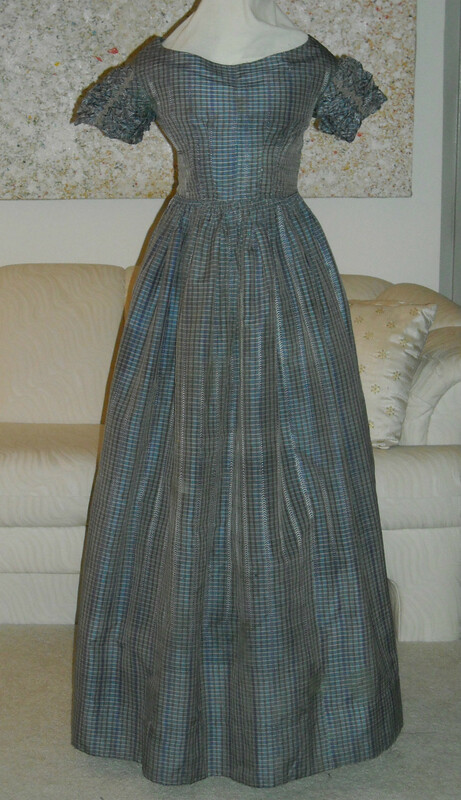 It is an amazing handsewn gown from around the late 1840s to the early 1850s. 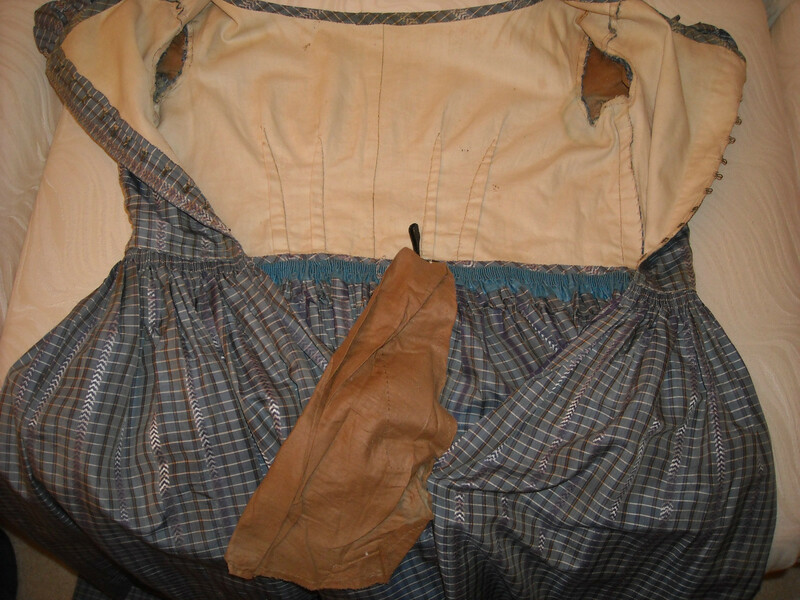 It is lined in cotton, has numerous pleats at the top of the waist, and piping at the neck, armholes, and waist. The dress has slight dropped shoulders. It fastens with hook and eye up the back. The dress is in good condition for it's age. 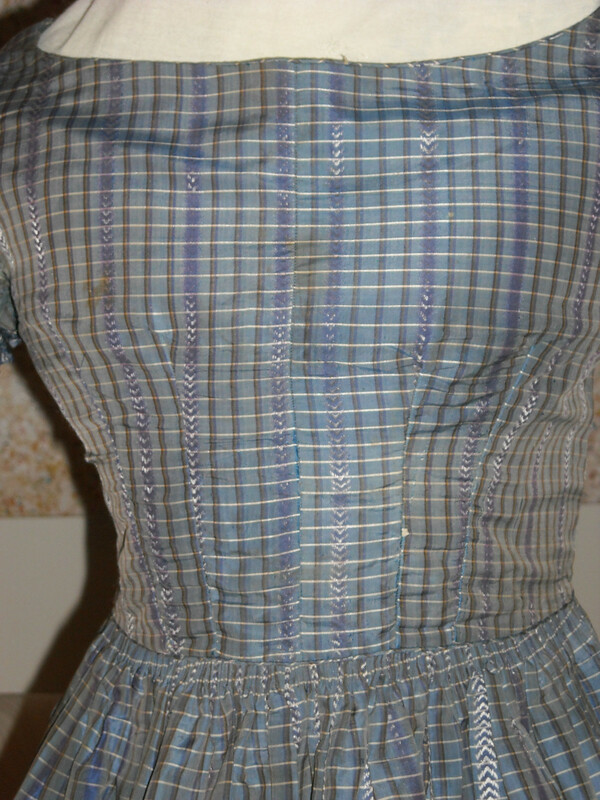 There are numerous tiny pin dot holes and a few pea size holes in the dress (mostly in the skirt), very faint underarm stain, and a faded spot near the bottom of the skirt. 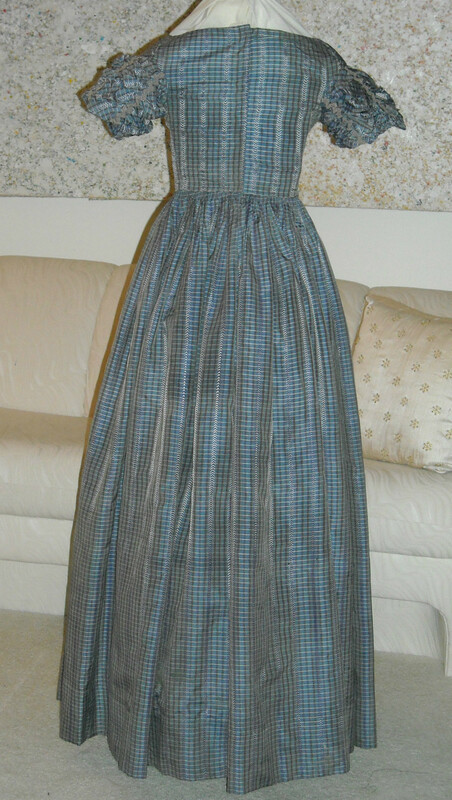 Based on the shoulders, waistline, and sleeves, I'm saying this is late 1830's. I love that trim on the sleeves. I wish I could find things like that now. Too much work to try and learn to make it.